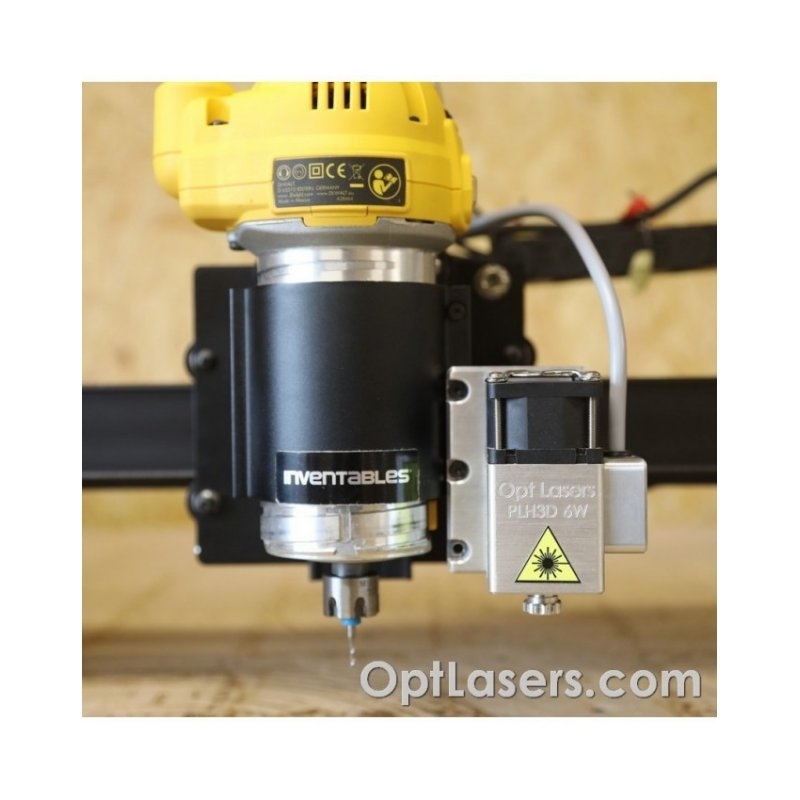 Opt Lasers X-Carve Full Kit with PLH3D-6W-XF. Full set including all parts needed to mount the PLH3D-6W-XF laser head on the Inventables X-Carve machine. Set is including: LaserDock, PLH3D Series Adapter, Air Nozzle, X-Carve holder, lens and 450nm Safety Goggles with CE certificate. PLH3D-6W-XF accepts 0-10V TTL/PWM signal generated by X-Controller. The laser head allows engraving or cutting of materials such as wood, stainless steel, paper, leather, cardboard and many others. For materials that generate smoke when engraved or cut, we offer an optional nozzle that is attachable to the front of the unit via magnets built into the laser head (see accessories). 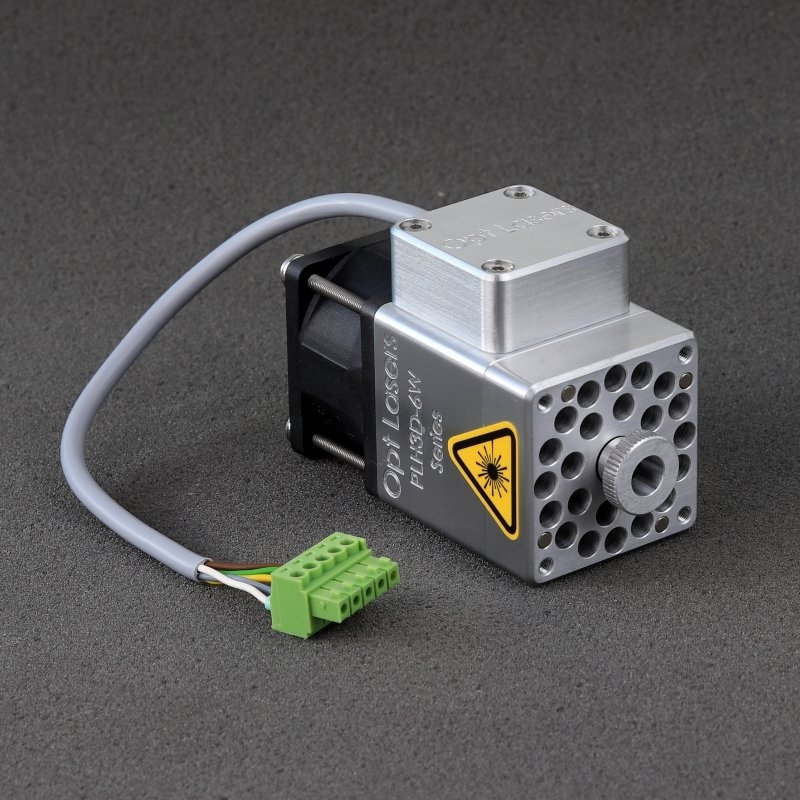 This lightweight 220g (7.8oz) laser head requires no additional cooling. The body acts as a heat sink, and the fan design allows it to function as an air nozzle protecting the lens from smoke, while also cooling the laser head. Performing tests on several prototype designs allowed us to optimize the heat sink’s shape and enable efficient cooling while maintaining the module’s notably small form factor. The PLH3D 6W incorporates a thermal protection system that protects the laser diode from overheating to maintain its lifetime. The unit is designed to automatically shut off when the housing temperature exceeds 47C. The analog input is protected by a 5V Zener diode in the case on occasion there appears the voltage higher than 5V. Despite everything, this input should not be used with higher voltages due to the risk of damage. The laser diode is protected via a Schottky diode, which protects it from a reverse voltage and ESD. In addition, the integrated driver is fully covered to protect it from metal chips in a CNC machine environment.